Frozen Blueberries are delicious by themselves, but dipping them in yogurt before you freeze them makes for a different tasting snack. 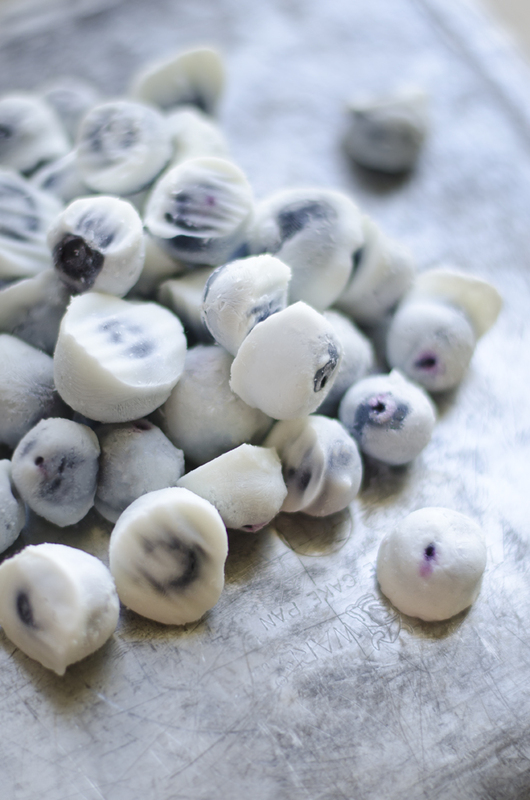 These Frozen Blueberry Bites are very easy to make and the recipe can be found on the blog of Live Eat Learn. A perfect snack for a hot summer day!